My girl and I were both having good days. I was quite busy with work, lucky enough to be working from home. As inevitably happens, my girl will need some help with something. It could be lifting something heavy, reaching something high up, computer trouble, etc. After several interruptions, I became agitated. Looking back, I should have asked myself what had I done wrong leading up to this point. Working from home has its share of distractions. Including your girl. Instead of calmly setting a boundary, I helped her but in my “agitation mode”. Well guess what? She always picks up on my agitation. Her reaction is to often go into what I call her “frustration mode”. What is frustration mode? I believe it’s when she gets to a point where she is reaching out for help. Not for the purposes of getting my attention, but to learn and her professor seems put out. Again, it takes a while for both of us to reach our undesirable “modes”. But once there, the cycle has the potential to downward spiral until one of us is aware and stops it. The escalation can be a creeping, insidious but dilute poison. Not enough to kill you but enough to give you a sour stomach and a sick evening. My takeaway: I set the tone for my entire family. I am their leader. I have to maintain my frame at all times. I cannot let my guard down due to stress or exhaustion. Leaders don’t get Time Off. 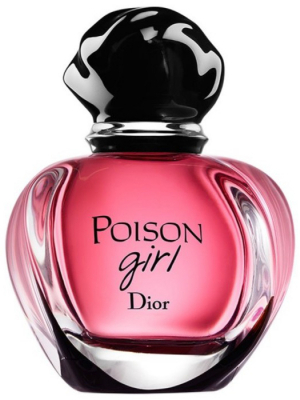 P.S, Who would buy a perfume called Poison Girl? What am I missing here? I guess if she wears it, consider yourself warned. I’m well warned, thanks sir!